Pull, mow, burn and spray. These are a few of the ways DUC manages invasive plant species. In the Prairies, conservation specialists have added another tool in their kit: grazing. Prairie grasslands provide ducks, like pintails, with important plant cover for nesting. While these waterfowl aren’t equipped to stop the spread of invasive plants, the hoofed animals they share this landscape with are. 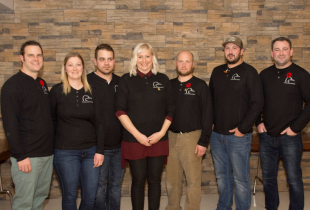 “Livestock are a natural ally,” says DUC conservation specialist Jodie Horvath. That’s why, in Alberta and Saskatchewan, DUC and its partners release cattle and goats onto grasslands to help combat destructive, invasive plants through grazing. Touchwood Hills Conservation Ranch, Sask. Each spring, cattle are pastured at DUC’s Touchwood Hills Conservation Ranch, near Yorkton, Sask., as part of an integrated management plan. Here, heifers and cow-calf pairs eat, trample, and expose invasive plants. “In cases where [they] won’t eat the problematic plant, what they do is eat the grass around it, which makes it easier for us to spot,” says Horvath. Cattle are released onto pastures at Touchwood Hills Conservation Ranch each spring. They’re owned by a local rancher, who partners with DUC. By doing what they naturally do, cattle are helping manage tansy (Tanacetum vulgare), common burdock (Arctium minus) and absinthe (Artemisia absinthium). “Grazing cattle are key to maintaining the production and longevity of grasslands. 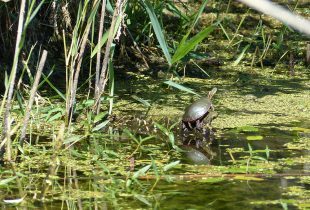 This productive nesting habitat has a better chance at competing with the undesirable weed species,” says Horvath. 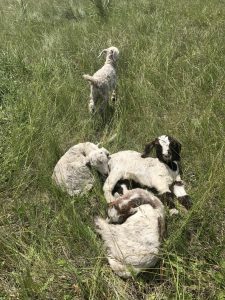 While the “moo crew” may forgo eating invasive weeds in favour of native prairie grasses, in Alberta goats are diving headfirst into leafy spurge (Euphorbia esula) at DUC’s Frank Lake project, 50 kilometres southeast of Calgary. Likely introduced to Canada in a bag of contaminated seed, invasive leafy spurge releases toxins into the soil where it grows, which prevents other plants from taking root. It also impacts the land’s capacity to hold water. “It’s a problematic weed,” says DUC conservation specialist, Ashley Rawluk. Fortunately, goats love it. “They eat it like it’s candy,” she says. This year, Rawluk says she plans to have goats released onto grasslands at Frank Lake on three separate occasions. 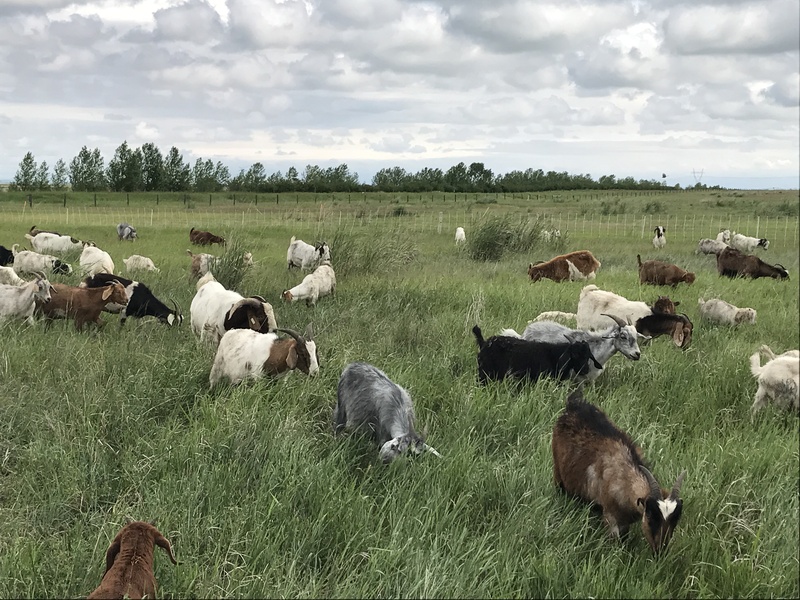 While small improvements can be noted after goats have been in the field, “it will take several years before we see the full benefits of their grazing,” says Rawluk. In the meantime, both Rawluk and Horvath celebrate the fact that the domestic animals who rely on this prairie landscape can be part of the solution. 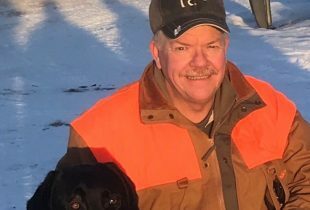 “I think there’s a real push to find natural solutions to managing invasive species,” says Rawluk. “And what’s more natural than a goat grazing?” she asks.